There’s a lot of obsolete information about HTML and CSS and how to do websites, many are outdated, whereas other more current are either too deep into technicalities or just in need to be found. 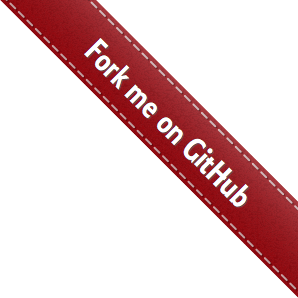 Using the thme “the right way” this site is an open-source reference which follows the “fork”, “pull request” contribution model popular on GitHub. Use shorthand CSS techniques, when saving those extra bytes is crucial for you! Usage of shorthand or longhand are not only for brievety purposes. One common use case is to define in full the desired style using short hand, then, override specific style using longhand. In most condition, the ideal premise is to see all element as a module and extend variants. To illustrate this, imagine you want a type of block to set text content in. Content can be (only) a blog post introduction text, a code-snippet, a picture. Let’s nicknamme it ”marble” (as for the example), each of them needs different styling but some of it has common styling effects. The previous could be a base module to use. Further down the project you could have “theme” section that takes care of the project specific theme. Imagine all content area are marble and some other will have a clear different style, imagine now we need to style a source-code block, just fork a different behavior to it. Beware of the cascading effect. If you set a specific effect, make sure there is not already defined. Being precise becomes more and more important as the code stacks up. A common caveat about fonts is that, like colors, their effect bubbles up until it is redefined in a stronger selector. Beware of the original definition then, when needed, use the most precise longhand to do your effect. Extending or re-using one (or many) front-end libraries is a very common practice. The holy-grail of efficiency in front-end development practices is to be able to import re-usable libraries and adapt to the project’s requirements. For example. Imagine you want to create a new project, and you already have a few modules available e.g. alert or notification message that could be used in any other projects. This tutorial is about isolating your own project-specific code, get the benefit of already made patterns that can then mixed-matched for every specific views you may need. Unfortunately, a common mistake is that people simply copy-paste code from project to project without real version scheme or version control mechanisms at all (e.g. Git, Subversion). From a set of personnal, mixed with some other project’s source. Carrying practices and “dead-wood” code alone every project, without follow up from the author or the source. Although source-control is suggested, the essential to remember is to not modify external libraries. But merely extend and adapt; this is where CSS parsers comes in handy (more on this later). Import, extend your specialized version, separate concerns, re-use. profit. This is roughly what OOCSS (Object Oriented CSS) stands for. But why re-inventing when you can just use and reuse existing in an efficient way? To be able to re-use, and separate concerns, we have no choice, we need something to process and replace things around. This is some of my own personal reasons I prefer using compiled CSS. After that, there is a lot of CSS parsers. Personally, I like LESS. Because: it can run in the browser, on the server side (within NodeJS), compile from the command line, and be used in automated deployment tools. A killer argument is that it can only as simple as. To use in production, get the compiled CSS in the localStorage from Firefox/Chrome (in the developer tools such as Firebug) the compiled css and commit the css to the project’s as minified CSS. Not to forget that you can also use as much as you need @include statements and separate your code, but end up with ONE css file. Create a folder within your project that will handle external libraries. In the web/assets/lib/bootstrap/ either download, svn external or submodule from a specific version and keep it as it is. untouched. While in this example I use Bootstrap, I often use some specific sup-parts from the also Excellent Zurb Foundation, their font-icons, library for example. Then. In main.less (or any name you choose as your “main”); copy-paste the content from the original web/assets/lib/bootstrap/less/bootstrap.less into web/assets/main.less, and adjust paths accordingly. Now that you have this basic workspace, have a look at Bootstrap’s variables.less file, see myproject/_variables.less has my own version of the original. Beware though. To avoid compilation errors; just make sure to include the original variables.less file, and only override what you need. The rest comes by creating patterns and separate concerns. For example, Imagine you have the module .form-actions and you need to adjust for your needs. See also that I did not overspecify but precisely wanted to be the direct children (>) of .myproject that, in this case, is assigned to the <body> tag. The key for re-use is to separate the concerns and not edit your external libraries. By doing so, you will learn how to be very specific with shorthand and selectors, without creating ridiculous selector trails. I thought to re-visit the previous post because somebody asked on the Bootstrap Mailing list if they can change some elements colors using plain css. I was assuming that the person do not know the existence of css pre-processors so I shared the following blueprint on how to do. Download bootstrap distribution and the less.js file. Create a copy of bootstrap.less outside of bootstrap distribution folder. Adjust path on the bootstrap.less @include directives. Follow LESS css pre-processor howto to use less and yoi can change colours! Note direct events handlers such as live, or delegate are considered deprecated (as of jQuery 1.7) see delegate API and live API notes.